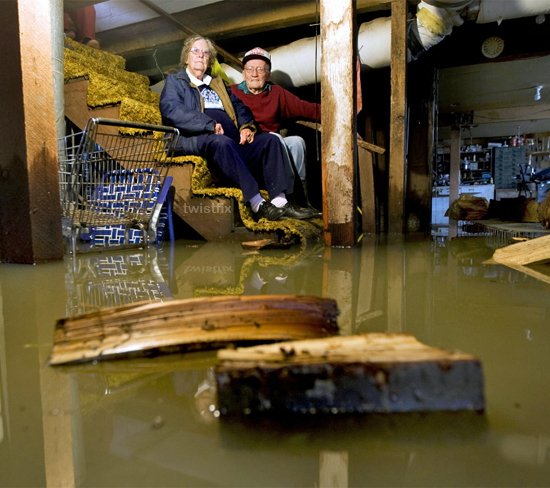 A flood in your home is a worrying and often demoralising experience. When the floodwater has receded there is the additional distress of cleaning your property and repairing flood damage so that your home becomes habitable again in the shortest period of time. By far the longest delay to making your home habitable will be the deep drying-out of the materials from which the house was built. Concrete blocks, brickwork and gypsum-based plasters are porous and can soak up large amounts of water like a sponge. It is difficult to estimate how long a property will take to dry out. Many factors affect the drying time including the duration of the flood, the fabric of the building and the amount of ventilation provided. The best way to dry it out is through natural evaporation but be prepared for the process to take months rather than weeks. 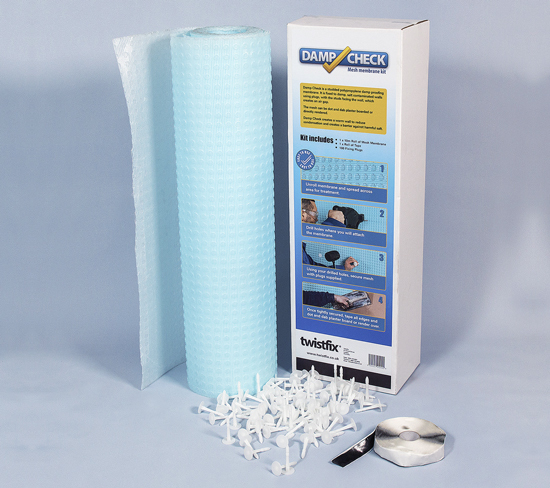 Twistfix offers solutions for rapid home re-habitation following flood events. 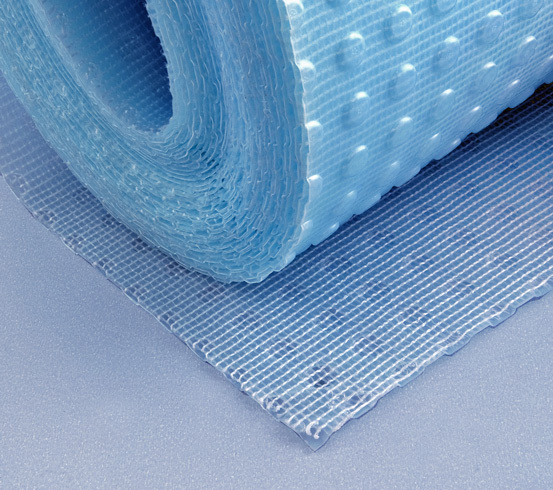 We have taken a selection of products and techniques used in cellar waterproofing applications and adapted them for use in above-ground flood remediation situations. This involves the installation of special cavity drain membranes that are used to line internal wall surfaces with a waterproof barrier. One side of the membrane has numerous ‘egg-box’-like studs, creating a continuous air-gap, which can be ventilated using external airbricks. 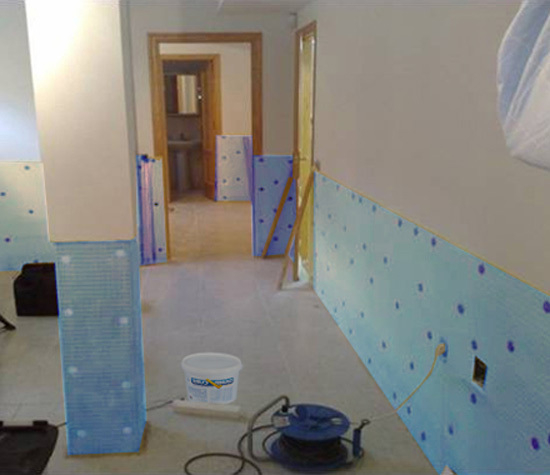 The other side, or the dry side, of the membrane has a mesh face to which plaster or plasterboard can be immediately applied. This provides an instant dry surface while the gradual drying out of masonry walls carries on in background within the ventilated air-space created. This innovative drying technique allows the home to be reoccupied and householders to resume normality before the fabric of the building has totally dried. When repairing flood damage it makes good sense to build into the flood remediation scheme a system that can be recycled in instances of repeated floods. Impervious cavity drain membranes not only allow drying out behind the decorated finishes but can also be recovered and reused in the event of further flooding.